DOES THE ALTERNATIVE FINANCE BOOM REALLY HERALD THE END OF BANKS? Alternative finance is booming, up 148% in the UK alone across all platforms and over two thirds of British SMEs say that they would consider raising finance in this way, according a recent survey by UK Bond Network. This growth is predicted to snowball in 2015 across both sides of the Atlantic. In the UK it’s expected to grow to £4.4bn according to a report by Nesta and the US is expecting triple digit growth across different platforms. At the end of December the first crowdfunded company floated on a British stock exchange, showing how alternative finance is embracing existing financial models, potentially making it even more useful for investors and users alike. The alternative finance sector’s surge is prompting leading commentators to suggest that it’s opening up a much more democratic finance system that could finally shake the hegemony of major banks. Is this pure hyperbole or is there substance to these predictions? How could altfi change the finance system? Bruce Davis, one of Zopa’s co-founders, believes that the rise of alternative finance platforms gives investors the chance to “make the markets they deserve” by taking back control of their money and investing in projects that not only give them a good return but also align with their ethical concerns. As an example, he transferred his personal pensions from traditional funds to renewable energy debentures held within a self-invested personal pension (SIPP). Acting under the pseudonym Jonathan McMillan, an investment banker and macro-economist posits that online alternative finance providers will not just supplement traditional finance, but replace it. This is because digital funding methods like peer-to-peer lending and crowdfunding don’t require an intermediary bank, redefining the idea of balance-sheet solvency. With increased liquidity, scale and safeguards they argue that alternative finance could replace banking, being the financial revolution for the digital era that banking was to the industrial revolution. Given alternative finance’s stratospheric growth and the UK government’s stated goal of making it easier for SMEs to access, although it’s a shift that’s difficult to imagine, it’s far from impossible. Just look at the revolutions in communication that have taken place over the last 20 years – why should finance be any different? Are we on the edge of a financial revolution? Neither investors nor the alternative platforms themselves enjoy the same level of protection which is currently offered to banks and their customers. In the UK, savers with under £85,000 in their bank, building society or credit union account are automatically protected by the FSCS. In contrast, there is not official protection for alternative finance investors. However, many platforms are already taking steps to ensure their customer’s investments are as safe as possible. On peer-to-business lending and crowdfunding sites pre-campaign creditworthiness checks are standard. Peer-to-peer lending firm Zopa introduced its Safeguard Fund to reimburse investors in case of defaults, while it is industry standard to keep investors money in protected bank accounts. Many peer-to-business platforms also require businesses to secure their loans against assets. If the government and alternative finance providers could work together to get it right, it could provide a strong catalyst for economic growth as well as challenging the main banks. Interest rates are still at rock bottom, while fees, four figure minimum investments and uncertainty over performance can all daunt prospective stock market investors. Alternative finance can offer an accessible alternative, with many peer-to-peer or crowdfunding options allowing investments of under £100. While Nesta’s Understanding Alternative Finance 2014 report shows that 42% of consumers aren’t aware of alternative finance and that even among those who are aware, only 14% have used it, overall the report highlights the potential for more uptake among investors. Among those who were unaware, better returns and guarantees were the most important factors that would encourage investment. For those already aware, better returns, greater transparency and more guidance on using the platforms are the most likely elements to boost use, suggesting that platforms themselves could do much to inform and educate potential customers, so challenging banks as the default savings choice. Interestingly, the same survey showed that a small but significant minority, between 10 and 18% of respondents, would consider peer-to-peer or alternative platforms for currency exchange, insurance or mortgages, indicating another way that they could disrupt the banks’ dominance. 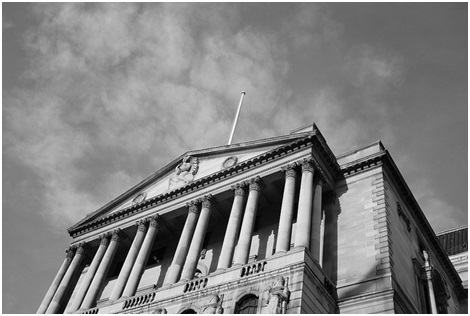 Despite government encouragement, bank lending to UK businesses shrank by 1.5% during the third quarter of 2014. When this is set against the growth of alternative finance for businesses, which surged past the £1 billion point for the first time during 2014, predictions that the sector will seriously challenge mainstream banking don’t sound so far-fetched. With a majority of SMEs considering alternative finance, the main factors aren’t just availability of credit. According to UK Bond Network’s survey, lower costs and speed are the two main motivators and this is where the business model of online alternative platforms puts them above banks. This opportunity is echoed by Nesta’s findings, where altfi providers were seen to be more flexible and quicker than banks. They fared less well when it came to understanding the specific needs of SMEs, suggesting that there might be opportunity for more development in peer-to-business specialist platforms. As the sector matures and as platforms grow and can spend more on marketing and awareness, alternative finance could certainly challenge traditional banking on some major areas including SME finance and investing.